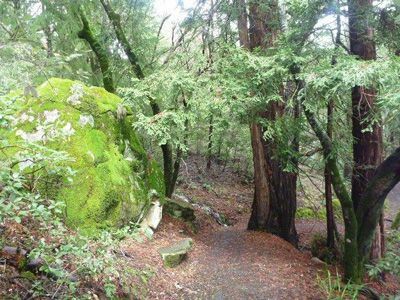 Welcome to the 25th running of the Woodside Trail Run in Huddart and Wunderlich Parks. Pacific Coast Trail Runs has been putting this race on since 2002 and it never disappoints. This is a magical trail run full of towering coastal redwoods, lush ferns and rambling streams.